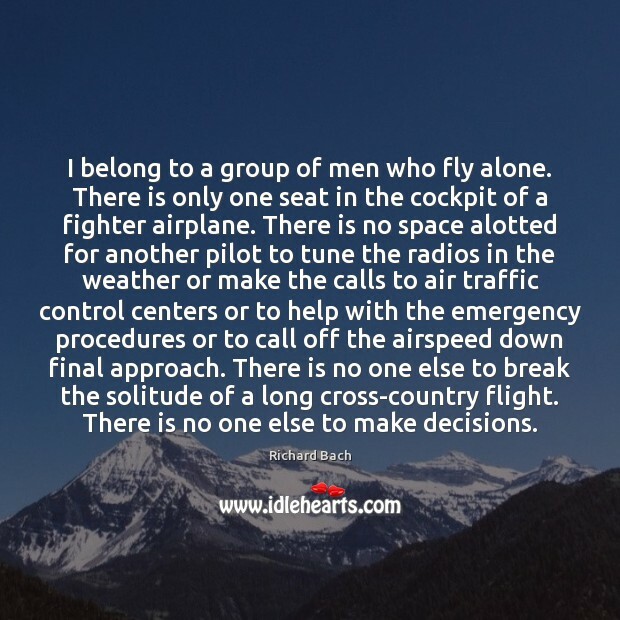 Quotations about Air Traffic Control. Quotes to stimulate mind and drive action! Use the words and quote images to feed your brain inspiring things daily! 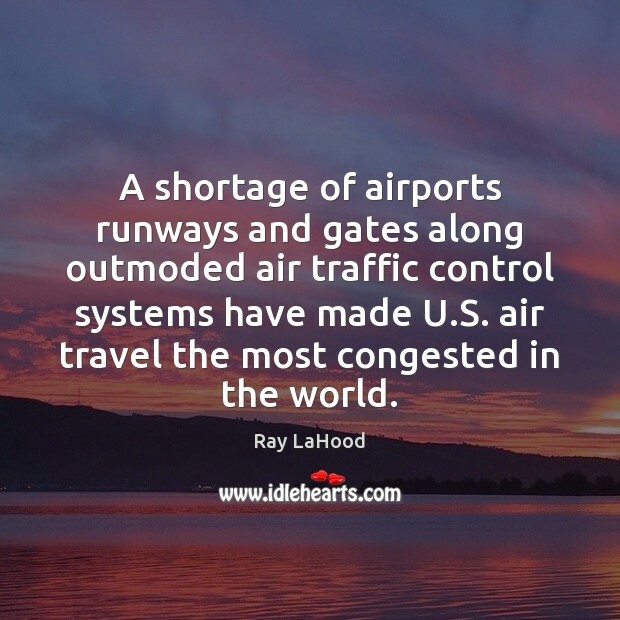 A shortage of airports runways and gates along outmoded air traffic control systems have made U.S. air travel the most congested in the world. 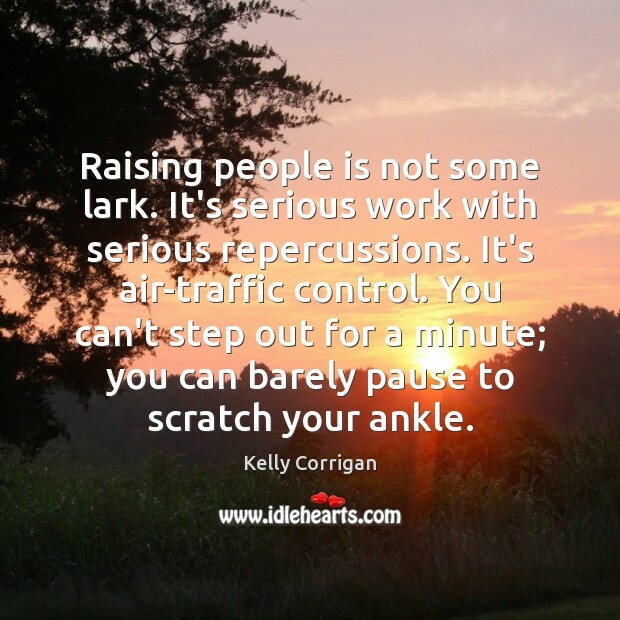 Raising people is not some lark. It's serious work with serious repercussions. 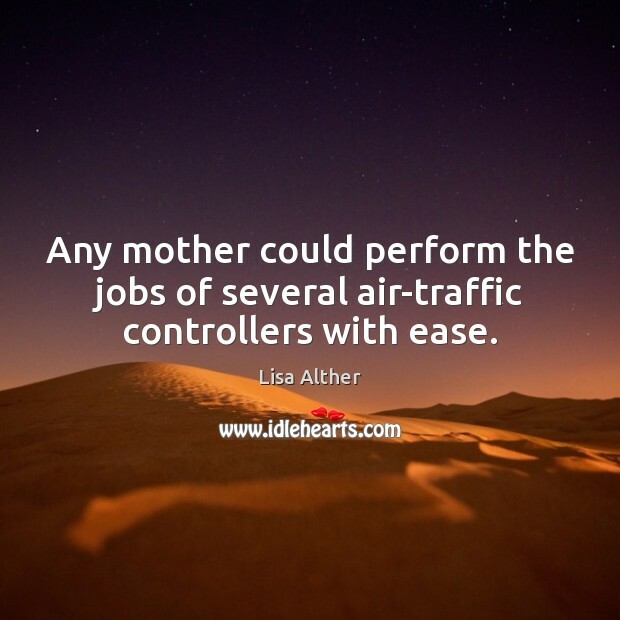 It's air-traffic control. You can't step out for a minute; you can barely pause to scratch your ankle. I have the ordinary experience of having the blender bottom come off in my room upstairs. 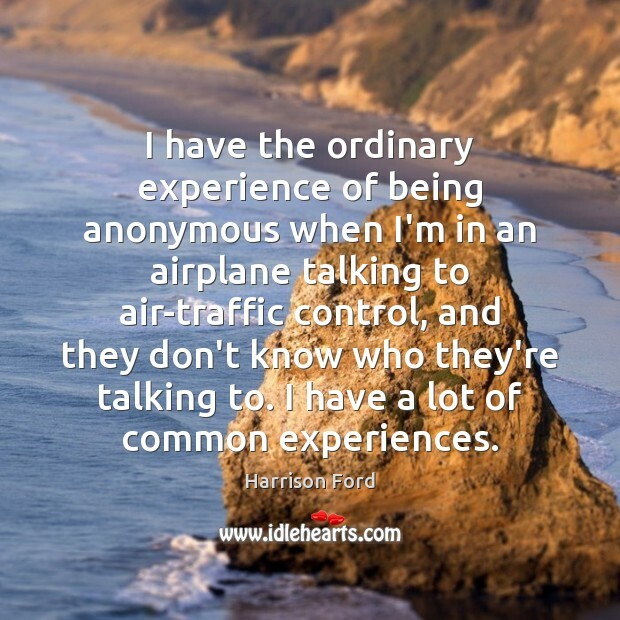 I have the ordinary experience of being anonymous when I'm in an airplane talking to air-traffic control, and they don't know who they're talking to. I have a lot of common experiences. 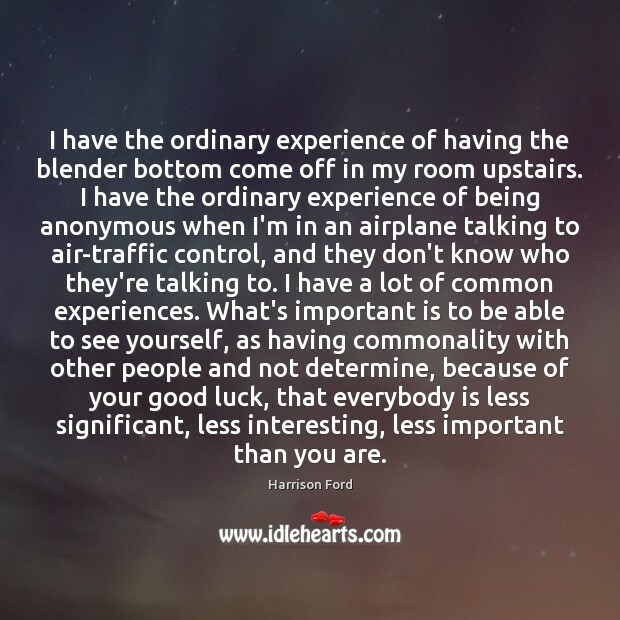 What's important is to be able to see yourself, as having commonality with other people and not determine, because of your good luck, that everybody is less significant, less interesting, less important than you are. 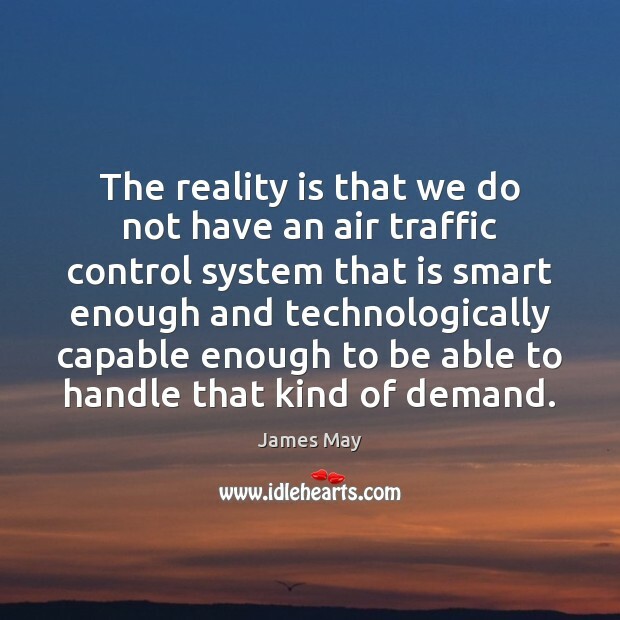 The reality is that we do not have an air traffic control system that is smart enough and technologically capable enough to be able to handle that kind of demand. 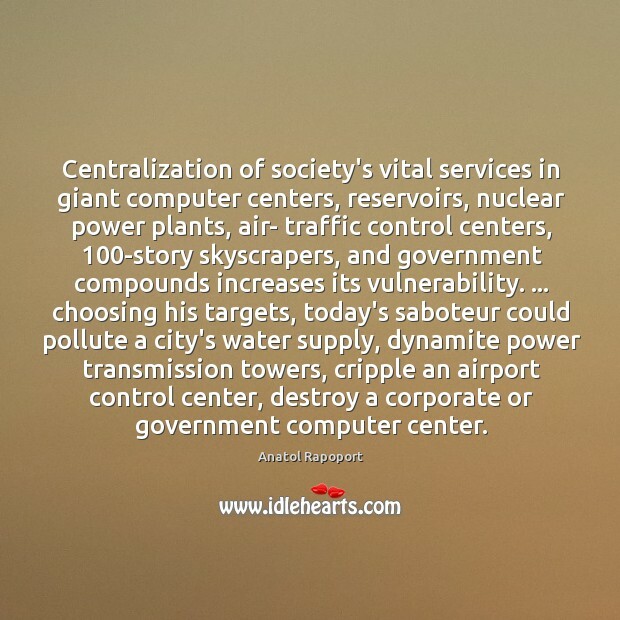 Certain countries long ago succeeded where the U.S. has failed in commercializing their air traffic control systems, putting them in the hands of private or quasi-private operators able to raise capital, charge fees, and invest in growth, free of meddling by congressional pork barons. You want a drone-friendly air traffic control system? This is the place to start. 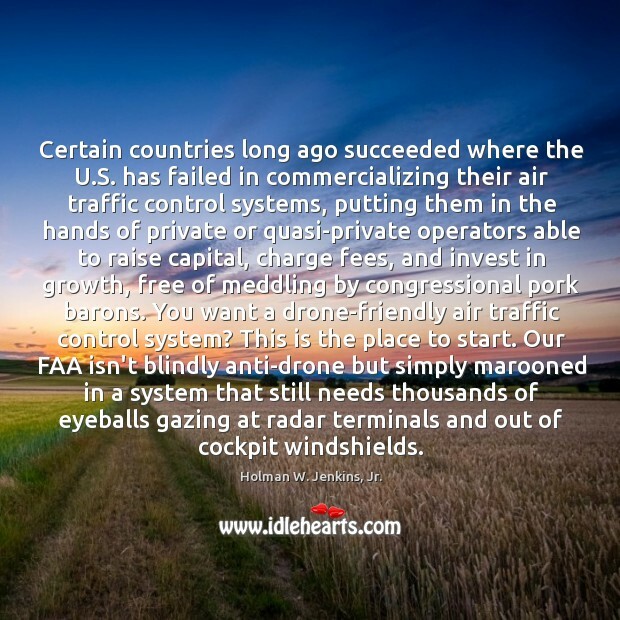 Our FAA isn't blindly anti-drone but simply marooned in a system that still needs thousands of eyeballs gazing at radar terminals and out of cockpit windshields. 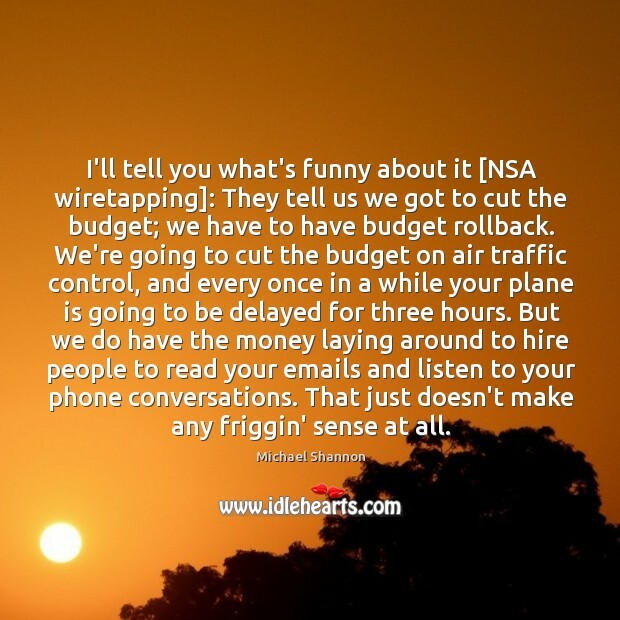 I'll tell you what's funny about it [NSA wiretapping]: They tell us we got to cut the budget; we have to have budget rollback. We're going to cut the budget on air traffic control, and every once in a while your plane is going to be delayed for three hours. But we do have the money laying around to hire people to read your emails and listen to your phone conversations. That just doesn't make any friggin' sense at all.